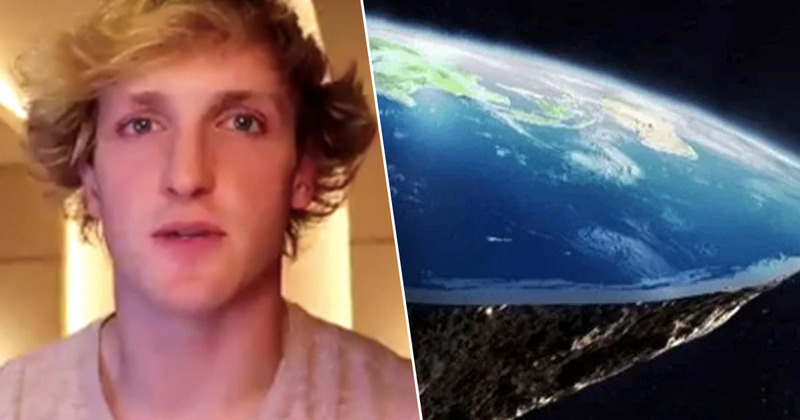 Popular YouTuber Logan Paul has decided he will trek across Antarctica, in a bid to prove that the Earth is flat. Despite overwhelming evidence that our planet is round, Paul joins a growing list of idiots that think otherwise. He is so convinced that the Earth is flat, he’s prepared to travel to find the edge of our world on the frozen continent. Logan Paul made these comments while speaking to Robbie Davidson, founder of the Flat Earth International Conference. The comments come ahead of the release of the YouTube sensation’s documentary The Flat Earth: To The Edge And Back, the Express reports. I’m not ashamed to say my name is Logan Paul and I think I’m coming out of the Flat Earth closet. I am that guy that will make it to the edge. If I’m going to put my name out there (as a Flat Earth supporter), I want to know the facts. Some of the best scientists can’t explain gravity; Neil Degrasse Tyson, Bill Nye, in the end, do they even know? I want to explore for myself and keep an open mind. There is a stigma of being a flat-Earther and if I’m going to do it I want to know the facts. If Logan Paul somehow managed to prove that the Earth is flat by finding an ice wall (if that’s the burden of proof) it would debunk years of scientific theory. Ignoring the numerous satellite photographs of our planet taken from space, the findings could prove that what we thought about our planet has been a lie all along. In 2018, Colin O’Brady completed a solo, unaided crossing of Antarctica in just 54 days. Critics of the Flat Earth movement believe O’Brady’s journey proves once and for all the Earth is round. Oh yeah, believe In a fairy because a broken leg is too much work to fake, but 70 space agencies, pilots sailors Antarctic explorers climatologist astronauts ALL pretending space isn’t real isn’t a lot of work???? No one is easier to disprove than you !! These are bold claims from the 23-year-old brother of fellow YouTube star Jake Paul. But it’s not the first time he’s found himself in the headlines. In August, more than a quarter of a million tuned in to watch him fight KSI at the Manchester Arena. Before that, Logan was condemned by many for a tasteless and offensive video filmed in a forest at the base of Japan’s Mount Fuji, otherwise known as ‘Suicide Forest’.